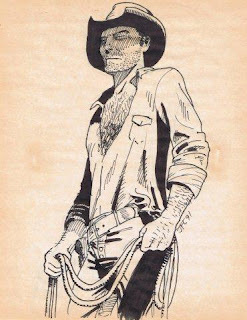 "My heroes have always been cowboys..."
Waylon Jennings sang it and I can feel it - as long as you take an elastic view of what constitutes a cowboy. I think I've read all of Louis L'Amour's westerns except the the Hoppalong Cassidy series. I fell in love with his laconic heroes who proved their worth through deeds, not words. Slow of speech and fast of reflexes, the female characters could usually run verbal circles around them... until silenced with a kiss. Before I started reading L'Amour, I was reading Georgette Heyer. The settings were worlds away from the old west but her most appealing male characters shared similar traits to the cowboy. The Quiet Gentleman - a description on her heroes as well as the title of one of my favourite books. Men who were best known by their deeds. As with the westerns, fast talking men generally turned out to be villainous or weak. All my male leads owe something to the qualities that Louis L'Amour and Georgette Heyer helped me appreciate in my formative years. 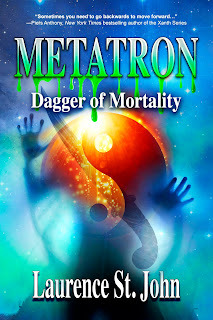 As I write this, I realize that there is also a bit of my father in those characters. Compared to my mother, he was a quiet man who showed his affection with deeds more than words. He had an odd-ball sense of humour too, so that when he did comment on something, you weren't always sure he was serious. I often give those quips and barbs to my male characters - letting them drop with little regard to whether their targets pick them up or not. More than any other character I have created, Jase Strachan, in El Paso Trail is influenced by the romantic heroes of my youth.When it suits him, he can fall into the drawl he grew up and seem like the slow-witted hick. Or he can pick his words with precision and wield them with the same accuracy and economy that he used when shooting targets. He's the cowboy and quiet gentleman I'd let silence me with a kiss. 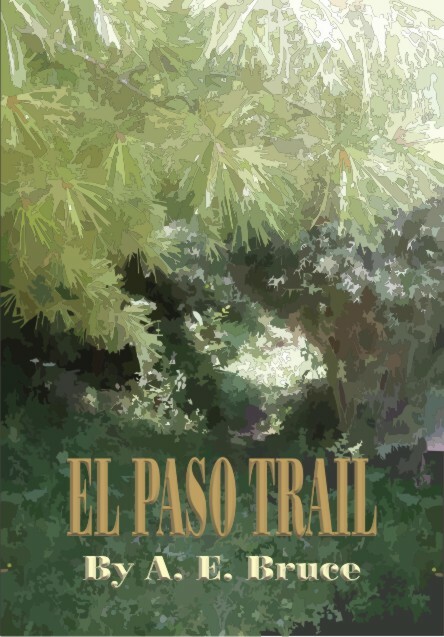 El Paso Trail is a FINALIST in the Text Novel competition. My heroes have always been cowboys. And they still are, it seems. Themselves and their slow-movin' dreams. Maybe, but he's good at capturing the mood.